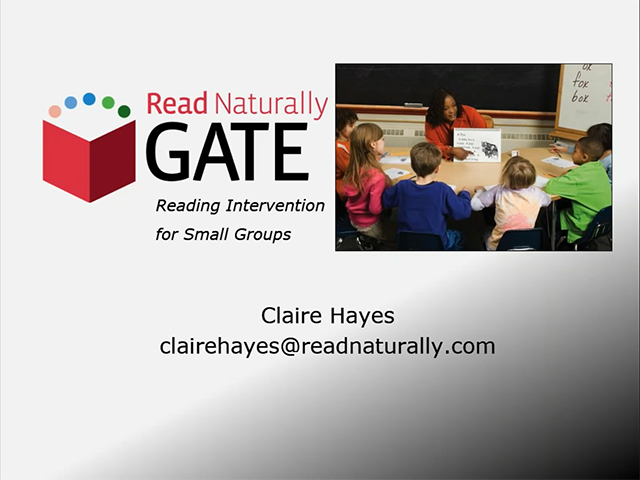 How To :: Webinar Video: Read Naturally GATE: Intervention for small groups :: Read Naturally, Inc. Presented November 14, 2018 by Claire Hayes, Read Naturally Educational Consultant. Students need foundational skills to become proficient readers. This webinar introduces educators to Read Naturally GATE, an effective program that uses non-fiction stories to systematically teach the foundational skills to small groups of beginning and developing readers. The presenter walks through the program steps to show how this direct instruction model leads to mastery of the foundational skills: phonemic awareness, phonics, high-frequency words, spelling, fluency, and comprehension.